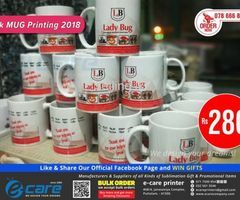 Bulk MUG Printing Special Offer - 2018. 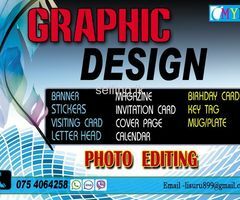 We Are Giving only best quality. 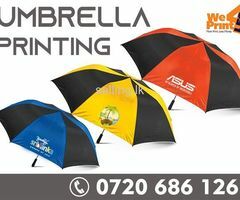 We are not doing Chinese because we like to give best product only. Ultra white promotional Mug printed with Eco Life Print and the box. 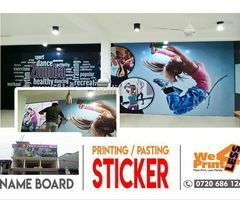 This is a life time print which never fade away.. Prices given for 5000 pcs order quantity. 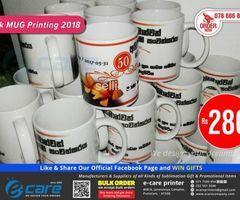 Mug Printing order 5000 pcs - 225/= each. 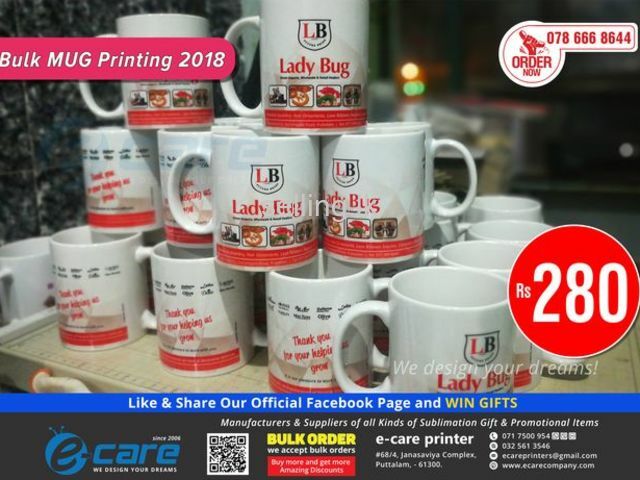 Mug Printing order 1000 pcs - 280/= each. 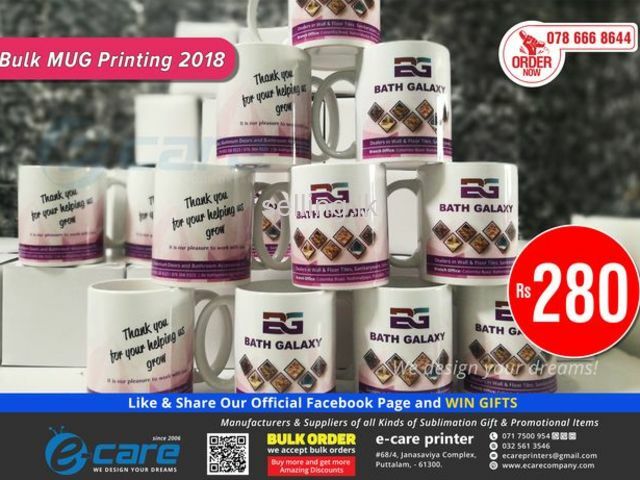 Mug Printing order 500 pcs - 300/= each. 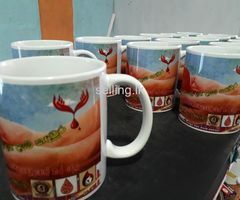 Mug Printing order 300 pcs - 320/= each. 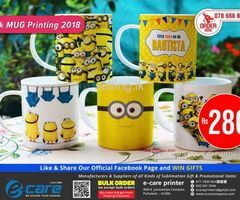 Mug Printing order 100 pcs - 350/= each. 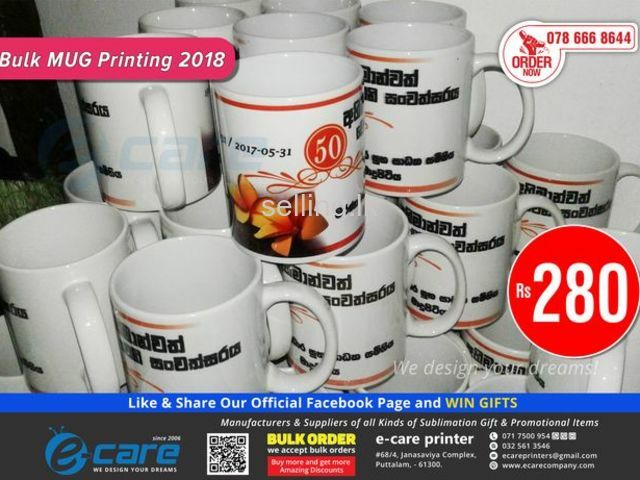 Mug Printing order 50 pcs - 400/= each. 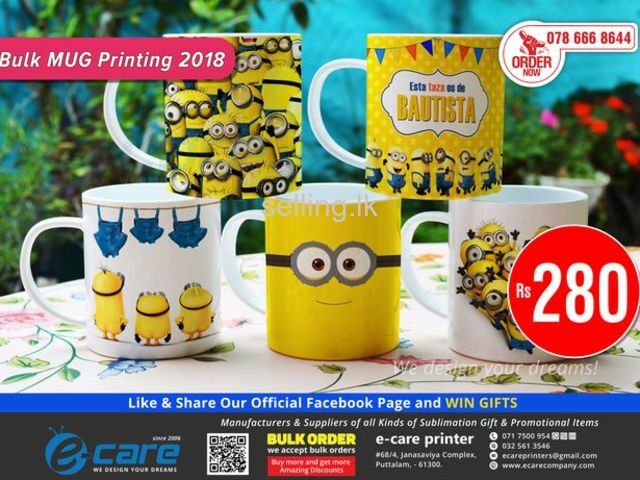 Mug Printing order 20 pcs - 450/= each. Door step delivery within 7 days. 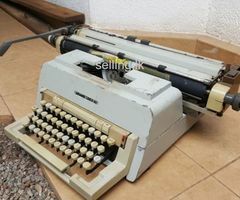 For Small and bulk orders, urgent deliveries please contact us.